For an unusual and creative piece, you will love the Charm Call indicator on the top of our list, as you move further you will get some insight on a brand new innovation with the premium flat cord designed headphones to blow your mind. This is truly an incredible list, with some of the best looking HTC Rhyme accessories that will guarantee style and performance at its best. Read more and also check out a terrific Car Kit, Bluetooth Headset and Armband Case. This is a terrific and trendy accessory for those quiet days in the library or in the office. The indicator charm is a discreet and tiny trinket designed to illuminate whenever you have an incoming call and/or text message, so you never miss anything. 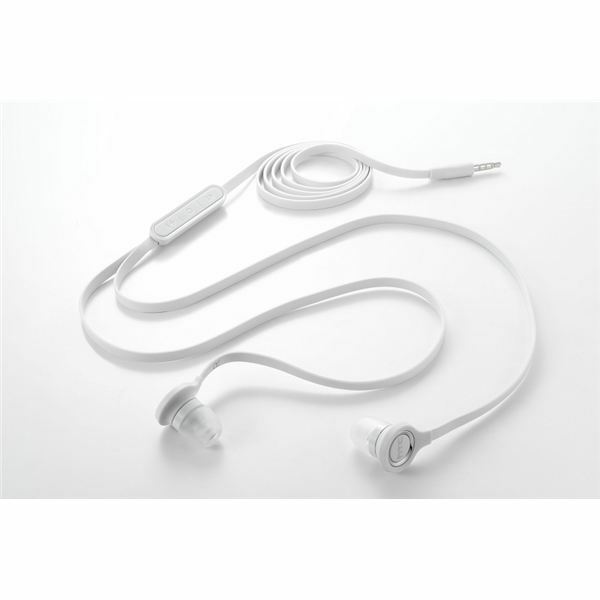 It plugs into the 3.5 mm audio port of your HTC Rhyme — the cable gives a pretty good length that can adequately extend from your pocket, bag or purse without you having to take out your phone for display. It’s quite simple to set up, just plug it into the phone and you're ready to go. They come in a variety of colors and have a great cord-like design for the cable. The Charm indicator comes in the box if you splash out on a new HTC Rhyme. They really tried doing something different with this 3.5 mm Wired Headset by designing it with a premium flat cable to help eliminate tangled cord problems when you put the headset in your bag. 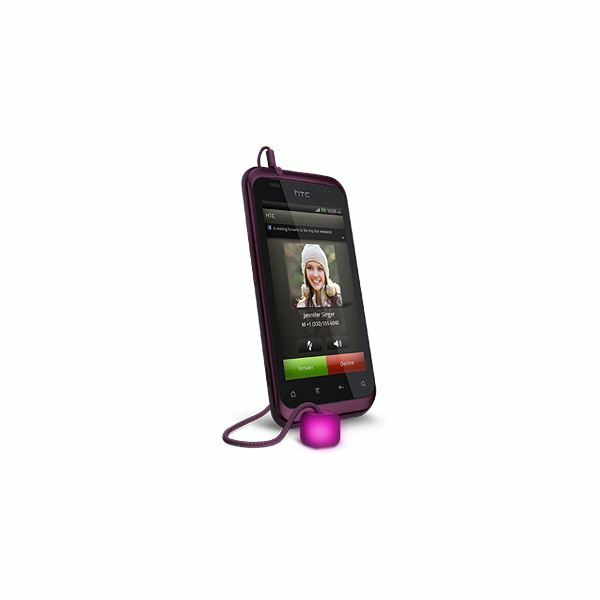 It attaches to the HTC Rhyme smartphone via its 3.5 mm audio jack to provide voice dialing, or allow you to listen to music, as well as allowing you to receive and make calls. There is no need to unplug this device from your smartphone as it provides a long list of functions — the headset houses a Music Remote Control unit for handling all calls including a send button to answer calls, call waiting switch or redial last number, plus an end button to end a call or use voice dialing. For your music you can play, pause, fast forward, rewind, and select FM channels, thus giving you more power to manage your tunes. You can clip the stylish Remote Control to your clothing while listening to music or phone calls. Also, with the built-in FM antenna, it gives a terrific signal boost, so listening to FM radio stations is crystal clear. The headset also comes with the HTC Rhyme and will match the color of your phone. This Car Upgrade Kit provides a sturdy and secure holder for your HTC Rhyme as well as other smartphone and PDA devices of a similar size. The gooseneck design facilitates multiple positions for your phone for proper viewing when driving. It is a terrific companion for assisting in GPS navigation including turn-by-turn directions, providing road routes and such. The kit includes an HTC micro USB car charger as well, so you can keep powered up, as well as perform synchronization tasks in the car without worry. 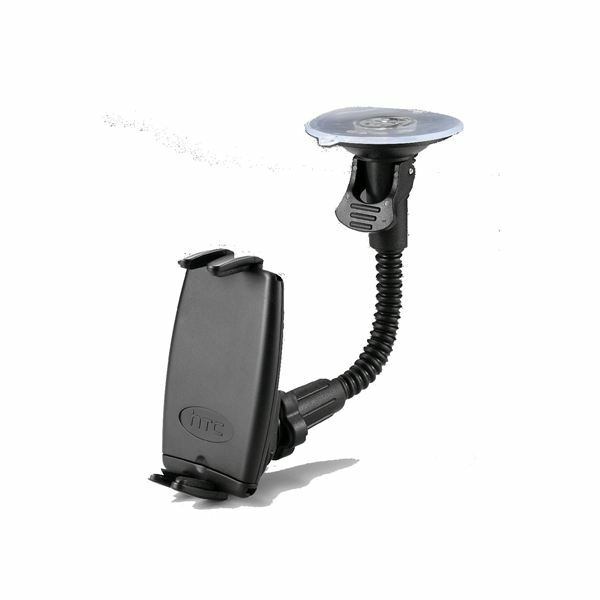 The base attaches to the windscreen or dashboard of the car through a suction cup and integrates an easy-to-use release lock for moving the kit from one place to another. The Car Upgrade Kit is an optional extra available from the HTC Accessory Store. Be wary of this white headset, it is very likely to get pretty dirty with use. Luckily you can get it in other colors, including plum, to match the tone of your HTC Rhyme. It is an immaculate looking piece that will give you wireless connectivity in style. The name Bluetooth Mono Headset comes from the single button control system for dialing and receiving calls quickly. Also, it allows you to use voice-activated dialing for any number in your phone book, hassle free. The headset provides you with up to 6 hours of talk time and standby time of 200 hours. There is also automatic pairing and an automatic power-off feature for the ultimate convenience. You can benefit from using both a micro USB as well as a full size USB charger cable for boosting up on power with ease. 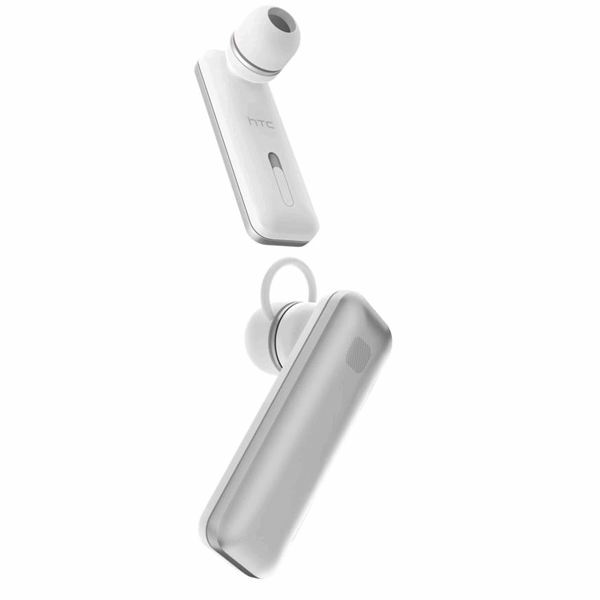 Among other Bluetooth HTC Rhyme accessories, this one makes a comfortable fit with its lightweight, compact design and snug in-ear hold. This is another optional accessory that will cost extra. Need something to securely hold your HTC Rhyme while jogging, walking, cycling or just for going to the gym? 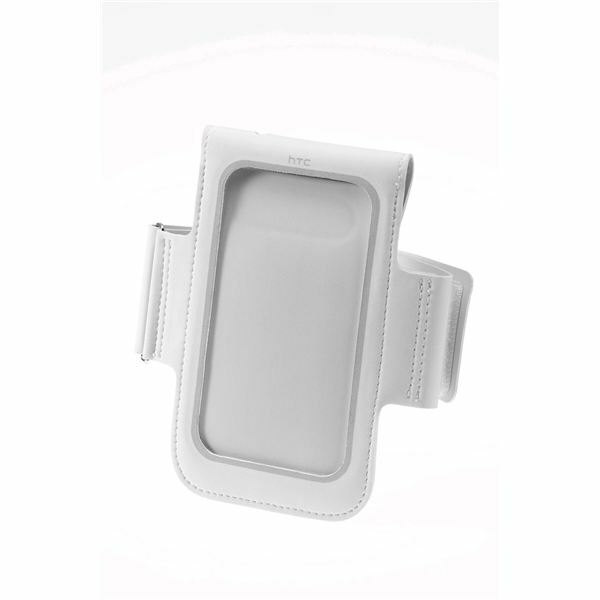 Try this sophisticated optional armband case to provide a comfortable and stylish enclosure for the most rugged activities. It has a strong wrapping band, yet is made from a soft, lightweight material that doesn't chafe. The built-in screen protector ensures that your touch screen works perfectly, even after a rigorous work out. Through a convenient cutout in the case you can string headphones through and access the audio port of your HTC Rhyme without having to remove it from the case, this allows you to listen to your music whilst working out. The high performing, flexible neoprene on this sports armband protects your HTC Rhyme from bumps, impact and scratches while allowing full functionality on the go. The fabric is completely washable and water resistant all at the same time – talk about ingenuity! Image Credit: Images courtesy of HTC Accessory Store.